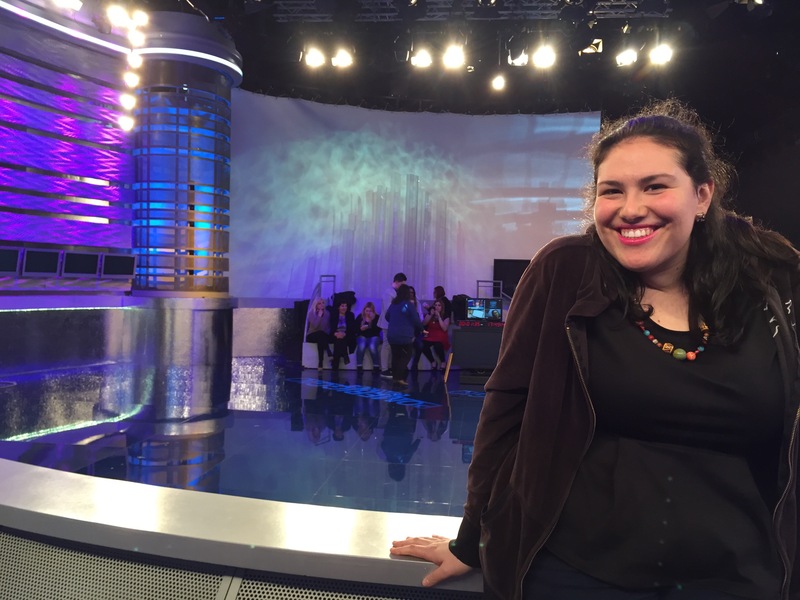 On the set of Pomeriggio Cinque! The opportunities I have in Milan are truly mind-blowing. This past Monday I was able to take part in the recording of a television show, as a member of the studio audience. This is indeed something I have done before in the United States, so it was an interesting contrast to see what it was like in Italy. The even cooler part was that this was for one of my classes. Yes, this was a field trip for my Television, Advertising, Music: The Italian Approach to the Media class. Yes, the whole show was in Italian so I couldn’t really follow too much of it. But just by chance I got really great screen time, so that was pretty surreal. I kept gazing through the bright lights to the monitors, to see me looking back. I especially appreciated this considering I had not made the cut for screen time when I was in the studio audience for the Rachael Ray show (one of my idols). The preparation for the show was MUCH more relaxed than for US television. The wardrobe requirements were simpler, and the seating was random. I was also exhausted because I flew in that morning from Barcelona. I went straight from Barcelona to class to the tv show. But I made sure to keep my eyes open as much as I could. I would not be opposed to doing something like this again. I’m just excited to see what my next class trip looks like! Till next time, thanks for reading!